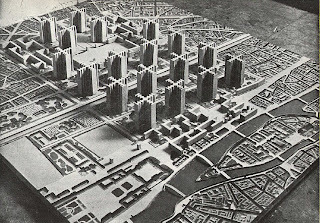 "The real effect of M. Le Corbusier's proposals is an over-simplification of the city(...). 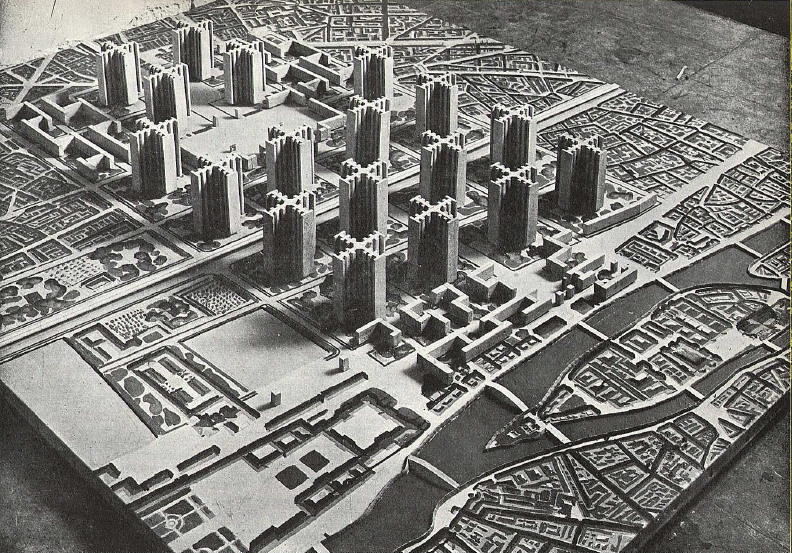 M. Le Corbusier's solution is to do away with the complexity. This complexity, however, is part of the subject of civic design. The modern great city is like a large orchestra wich often plays an inferior piece of music, and in which the instruments themselves may occasionally even be out of tune. It is the business of a reformer to improve the music and the instruments, but not to cut down the range of the orchestra, nor the number of musical effects that are aimed at by it. M. Le Corbusier has not the patience to attempt this, but substitutes for this orchestra a single tin whistle with about five notes, with which he plays a perfectly rythmical tune. But it is not enough." I thought the criticism started with Jane Jacobs, nice to see there were sane people even back in the twenties. Interesting theory on the anxiety, but has it been proven in any way, using scientific methods?